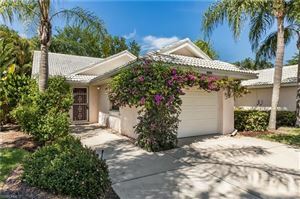 Banyan Woods is an exclusive, gated community located off Airport Pulling Road in Naples, Florida. Once inside, you are greeted by a magnificent Banyan tree, setting the tone for this beautifully landscaped community. 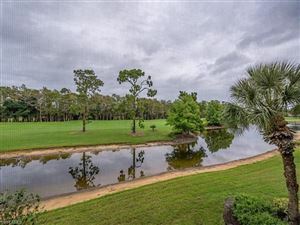 Banyan Woods is a quaint community full of lushly landscaped single-family and coach homes. 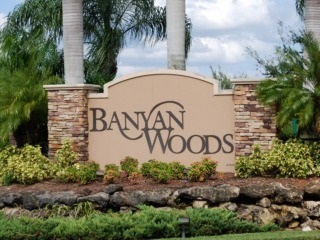 Coach homes are located in the Reserve at Banyan Woods. Many of these homes border a six acre lake. Residences range in size from approximately 2,000–3,500 square feet of living space. With only three single family homes per 100 acres, each home offers plenty of space between neighbors. Amenities within the community give it a neighborhood feel. You can bring your children and grandchildren to the community playground or basketball courts. The clubhouse offers a variety of recreational activities including a 1,200 square foot fitness center, various activity rooms, gazebo and heated pool and spa. Close to 5th Avenue shopping and dining, the Beaches of Naples, 3rd Street South, Coastland Center Mall and more, Banyan Woods has everything you need right out your front door.